New research shows a lack of consideration of alternatives to the most dangerous pesticides used in the state—and cumulative exposures to multiple chemicals. In 2016, more than 190 million pounds of pesticides were applied to farm fields in California. And while the state has a system in place to protect farmworkers, children, and people living in agricultural communities—while keeping these chemicals out of the air and waterways—a new report authored by a team at University of California, Los Angeles (UCLA) argues that this system isn’t working as intended. The report, published today, finds that when it comes to the restricted pesticides used, the current regulatory system does not meaningfully evaluate safer alternatives or consider cumulative exposures of pesticides. Here’s how it’s supposed to work: At the state level, the California Department of Pesticide Regulation (DPR) registers pesticides for use and classifies them as restricted materials, if necessary. Anyone wanting to use restricted pesticides—those deemed to have a higher potential to harm human or animal health—then must apply for a 12 to 24-month permit from their county agricultural commissioner for a specific location. Under the state’s pesticide management laws, in place since 1980, the commissioners are expected to assess whether a permitted use would have substantial, adverse environmental impacts before approving it. If safer alternatives are feasible or mitigation measures, such as establishing buffer zones or requiring personal protective equipment when applying the pesticide, are sufficient to ensure safety, the commissioner should deny the application for the restricted pesticide. Instead, the report finds that county agricultural commissioners routinely defer to third parties, such as pest control advisors, to identify and evaluate potential alternatives, and exert little if any oversight or evaluation—although performance varies by county. The UCLA team gathered documents and information from relevant government websites to assess if and how counties stated their commitment to evaluating alternatives. They found no indication that potential alternatives were taken into account by more than 40 percent of the commissioners. Additionally, only about 30 percent of commissioners expressed a strong commitment to the use of alternatives. To assess institutional capacity for evaluations, the team determined the number of hours each county spent on permitting for restricted materials. For instance, Fresno was among the counties that expressed a strong commitment to the use of alternatives and spent the most time (5,000 to 13,000 hours) on restricted materials permitting, while San Bernardino documents contained nothing relevant to alternatives assessment and indicated less than 1,000 hours on permitting. “Based on what we saw, I don’t think there’s a lack of interest in doing [evaluations],” says study co-author Timothy Malloy, a law professor at UCLA. Rather, he says, there is a lack of accountability. While it’s hard to generalize across all counties, he says, there are several factors at work. The DPR contends that alternatives are evaluated only after mitigation won’t be sufficient, yet county offices don’t often have the resources or manpower necessary to evaluate whether other pesticides or farm practices would be safer or more effective, Malloy adds. As a result, evaluations fall through the cracks. “The responsibility is distributed across state and county agencies, so nobody takes ownership and nobody does it,” he says. Malloy agrees. “Most states go along with what is happening at the federal level [which is determined by the U.S. Environmental Protection Agency]; California is one of the few states that goes further—and that’s to be commended,” he says. In many California farm communities, where different crops are grown side by side, the combined impacts of exposure to multiple pesticides—as well as the combination of pesticides with other pollutants—are also a serious concern. And the state is not living up to the statutes established to assess alternative and cumulative exposure, Malloy adds. To determine whether and how alternatives are assessed, the report conducted a case study of chlorpyrifos, a pesticide used on a number of crops, most notably oranges, almonds, walnuts, cotton, and alfalfa. A 2017 DPR review of pesticide illnesses from 2004 to 2014 found bystanders reported being exposed to chlorpyrifos in 246 instances and were sickened 89 percent of the time. Chlorpyrifos is known to damage the human nervous system, causing headaches, agitation, weakness, nausea, and paralysis. Despite mounting evidence linking chlorpyrifos to developmental problems in children, in 2017, Scott Pruitt, former director of the EPA under President Trump, postponed a final determination on chlorpyrifos until 2022. Given its known toxicity, its widespread—albeit decreasing—use, and available alternatives, chlorpyrifos served as a good example to track the type and degree of alternatives analyses conducted by 13 selected county agricultural commissioners. According to the report, permit filings and responses to public record act requests, none of the 13 commissioners have written guidance relevant to alternatives evaluation; rather, five counties said they rely—”improperly,” according to the report—on the pest control advisor to advise which chemicals to apply. They found no evidence of alternatives evaluations done by county agricultural commissioners, or meaningful oversight of the private parties. “We’d certainly like to see DPR take action on chlorpyrifos, and take serious that cumulative exposure is a real health threat for frontline communities,” says Emily Marquez, a staff scientist with the Pesticide Action Network. “Look at Fresno, an area with poor air quality, plus exposure to pesticides that have various health effects. It’s these communities that suffer from an undue burden,” she adds. The impacts from this failure to promote alternatives and monitor cumulative exposures are essentially unknown, says Malloy, since no one is really tracking it. While a legal mandate exists to minimize cumulative exposures of pesticides, protocols do not. The statewide review also found that county agricultural commissioners receive no guidance from the state on how to assess cumulative exposure to pesticides—and, as a result, they do not consider cumulative exposure during the permitting process. The report authors also conducted a case study to evaluate permitting practices related to cumulative exposure by reviewing chloropicrin, 1,3-dichloropropene (Telone), and metam sodium. All three chemicals are known to be toxic air contaminants in California; they also cause eye and respiratory irritation, and are either known or suspected animal carcinogens. “These agents are widely used on expensive crops,” says study co-author John Froines, a UCLA toxicologist. Permits and records the authors received from county agricultural commissioners showed various combinations—single applications applied at the same time, as well as multiple applications applied within 48 hours of each other—of these three pesticides on the same or adjacent fields. The documents offered no evidence that commissioners evaluated any cumulative exposures in those or other instances. 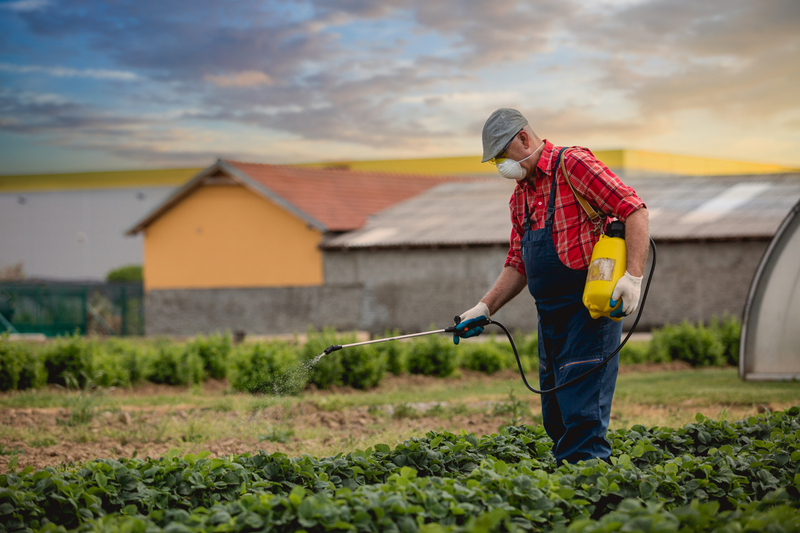 While commending California for its ambitious and forward-thinking pesticide management policies, the report authors suggest a number of fixes to bring the state’s practices in line with its policies. For instance, they recommend that the DPR offer formal guidance to county commissioners on how to evaluate potentially feasible and safer alternatives to proposed restricted materials. They also recommend creating a task force to help establish methods for assessing cumulative exposures and to develop standards. Important article changes need to be made - benevolent leadership is needed in our Ag regulating bodies.